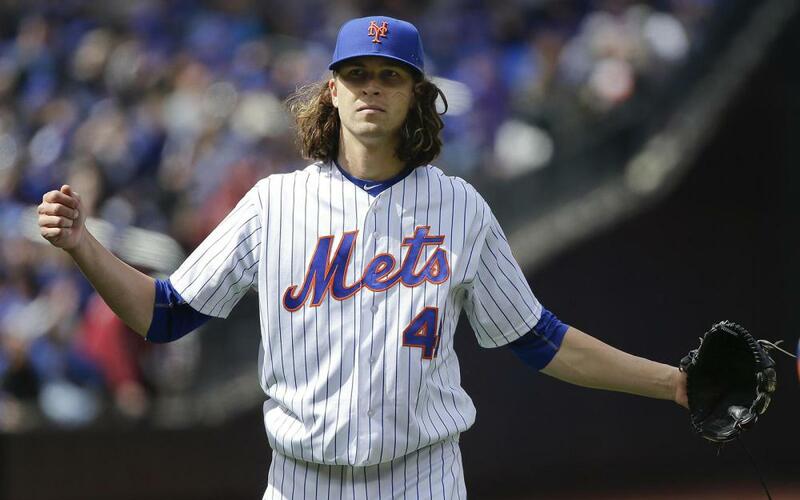 Jacob DeGrom(SP-NYM): Jacob DeGrom lost after allowing three runs (two earned) on five hits (one homer) and no walks with 11 strikeouts over six innings vs. the Nationals. I'm completely sold on the 29-year-old as a true fantasy ace, and I backed up that notion by taking him number 37 overall in the #2EarlyMock. He may get lost in the fantasy ace discussion a bit because of the horrible season the Mets have had, but DeGrom has actually elevated his swinging strike rate from 10.7 percent in 2016 to 13.2 percent this season while adding nearly two MPH on his average fastball velocity. I'm always concerned about health concerns swirling around DeGrom, but with today's performance he has reached 200 innings for the first time in his career. Jose Reyes(INF-NYM): Jose Reyes went 2-for-4 with one RBI and two stolen bases vs. the Nationals. The 34-year-old has found the fountain of youth in the second half, and has been especially hot during last month, ranking second to only Francisco Lindor on the ESPN Player Rater at SS. Much of this is due to regression in his .222 first half BABIP but Reyes has elevated his slugging by over 100 points while going 12-for-15 in steals in the second half. He'll be eligible at 2B, 3B and SS next season, but much of his value will depend on where he lands and if he finds a full-time gig. I think he will and envision him being undervalued on draft day. Ender Inciarte(OF-ATL): Ender Inciarte went 3-for-4 with a caught stealing vs. the Phillies. Did you know that Inciarte is 14th on the ESPN Player Rater, ranking just above Cody Bellinger among OF eligible players? Much of that is tied into the surprising 11 homers he has hit this season, but his batted ball profile doesn't support the career high in the power department. However, he is a near lock for 20 stolen bases, and with his contact-oriented (87 percent) approach on the ground (47 percent), he is also a near lock to hit .290-plus while scoring 90-plus runs. He'll make a solid number two OF in 15-team leagues and a high-end number three option in 12-team formats. Starling Marte(OF-PIT): Starling Marte went 2-for-3 with a two-run homer and one walk vs. the Cardinals. Given his struggles since returning from the PED suspension, Marte's proper draft slot will likely be one of the more popular topics during spring drafts. The most glaring difference with Marte since his return has been in his hard hit rate, which is down nine percent from 2016. However, he continues to steal bases at an elite level, and his plate discipline has actually improved from 2016. How much of his struggles is due to rust remains to be seen, but I still see a solid, fantasy-friendly skillset. He went in the third round in the #2EarlyMock, which is a risk, but one I don't mind. Tyler Flowers(C-ATL): While bats from the Marlins/Rockies game should garner plenty of attention, the Braves are likely to get plenty of run on FanDuel with their matchup in New York against Chris Flexen. Tyler Flowers ($2900) is a bat I envision producing huge value today, as he has hit 10 of his 11 homers against right-handers. While Flexen has been better at home, he has struggled there vs. RHH, and overall, has allowed a .598 slugging against them in 2017. Braves bats look like solid tournament pivots if you want to work in an ace. This is just a small sample of our daily analysis. Join our member area for over 80 player updates daily: http://www.fantistics.com/salesbaseball.php3 Click here for details: http://www.insiderbaseball.com/baseballsample.htm"
My passion for fantasy baseball began to grow in 1992. After Sid Bream slid (allegedly) safely into home, sending my Pirates into a decades' long run of futility, I went into a deep-middle school depression. I couldn't even play kickball for months. I also was left without a relevant MLB team to cheer. Over the years, I naturally gravitated towards the fantasy game. And while taking statistics courses in Texas as I worked on my PhD, I lost my mind for statistical applications to baseball, and have no desire to get it back. I've competed in all types of formats and find myself intrigued by spotting value, especially when it comes to prospects and up-and-coming major leaguers. There's nothing quite like signing Craig Kimbrel and Mike Trout the year before they rose to superstardom, and watching your buy-low investments soar in value.